Energetic, fun and informative are very common words used to describe our very interactive nutrition and cooking presentations. We can tailor a fun and interactive cooking presentation for any group. Our nutrition experts and home economist will show you how to prepare tasty and wholesome meals, using fresh, seasonal ingredients. 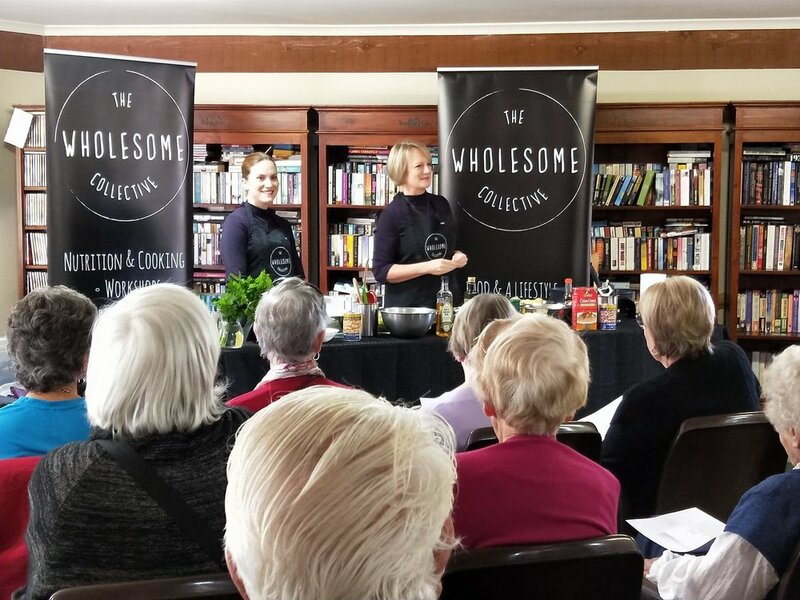 This is the perfect way to have fun with your food, learn to love new ingredients and join the dots between nutrition messages and what's on your plate. Our wholesome cooking experiences are so much fun, so consider us for your next event! 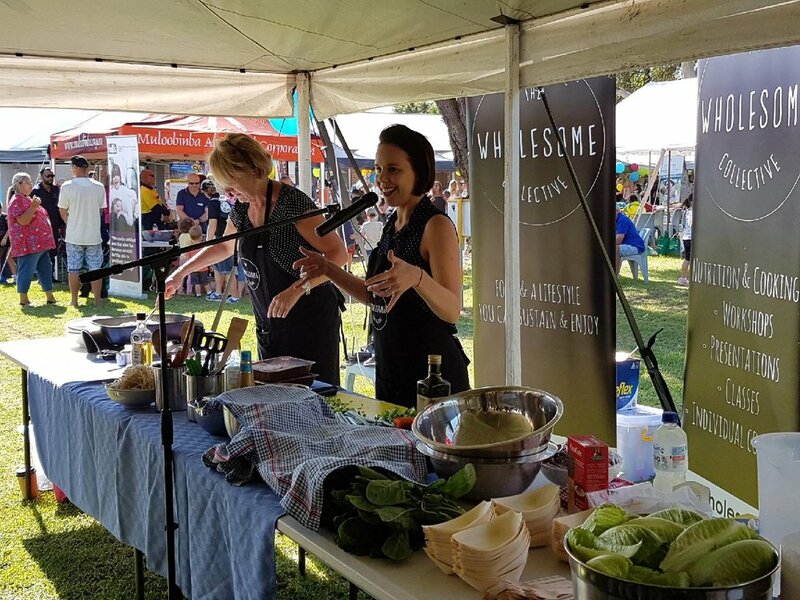 Mary and Kerryn presenting at The Glen Family Funday - over 100 taste testers were given out this day! Using seasonal produce and flavour to make eating well interesting and fun! A wonderful group of ladies from the ‘Everything but the Kitchen Sink’ following a presentation on ancient grains!